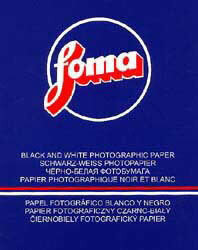 Foma variable contrast photo papers on large formats 40x50cm or 50x60cm or on the roll 1,08m wide: On request. These sizes can be only picked up in Ravenstein. Also for silk structure papers.